The Brennan's try to decide how to tell Fay about her potential diagnosis. Leo continues his relationship with Delaney but feels increasingly uncomfortable keeping up the charade. Neighbours was broadcast on Eleven at Thursday 10 January 2019, 19:32. 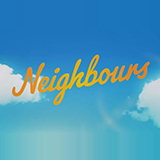 Neighbours is an Australian soap opera written for television and created by Reg Watson, who was also responsible for series such as Prisoner and Sons & Daughters. The objective of the series is to show realistic depictions of everyday life's stories, lived by both relatable adults and teenagers. Neighbours is set in the fictional town of Erinsborough, in the fictional Melbourne suburb of Victoria, and initially focused on the lives of three befriended families, the Clarks, the Ramsays and the Robinsons. 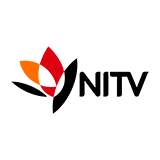 The show aired for the first time in 1985 and has since then become the longest-running Australian drama series. Neighbours was sold to more than sixty countries and was introduced into the Logies Hall of Fame in 2005.